It’s no secret that copy editing jobs are changing. But how well have college editing courses kept up? Newspapers are dismantling copy editing desks or realigning the way copy editors function. And newsroom cutbacks have hit copy editors particularly hard. The number of copy editing, layout or online producer jobs dipped 35 percent between 2000 and 2015, according to the American Society of News Editors’ annual newsroom survey. Yet ACES: The Society for Editing is seeing record growth in its membership, which now tops 1,900. This suggests that editors are still working, but are using traditional editing skills on new platforms and in new venues. "The survey also identified gaps between what professionals said are important skills and what academics are teaching. Among the biggest: curation, editing for the web and analytics." Sue Burzynski Bullard and Lisa McLendon surveyed nearly 700 editing professionals and more than 100 academics to find out how college editing classes are adapting. 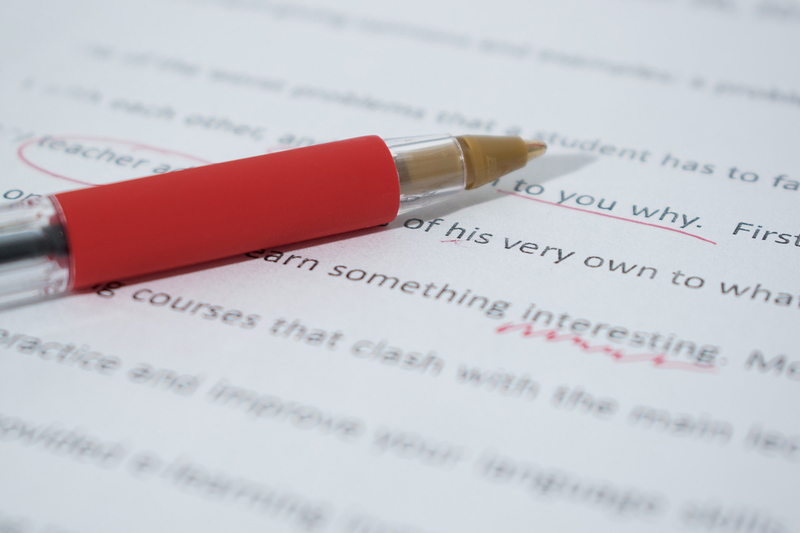 The survey found that 78 percent of academics believe editing courses should be revamped, even though almost 55 percent said these courses already have changed substantially in the past five years. The survey also identified gaps between what professionals said are important skills and what academics are teaching. Among the biggest: curation, editing for the web and analytics. Instructors said they often feel uncomfortable teaching skills they don’t know well, and they worry about having enough time to cover the basics along with everything else students need. But interviews were also conducted with professors who said they’ve revised their courses without having to blow them up and start over. Carol Schwalbe, an associate professor at the University of Arizona, expanded headline writing assignments beyond a print focus. In class, students write tweets promoting articles, then discuss and critique the tweets. As a homework assignment, students are given four kinds of stories – local, national, international and sports. They must write headlines for print and web, along with a Facebook post and tweet for each story. Luis Miguel Echegaray, who teaches a CUNY Graduate School of Journalism, reinforces the need for versatility in an assignment that focuses on writing and editing news alerts. In groups, Echegaray’s students write push notifications for articles, using different styles for different publications. 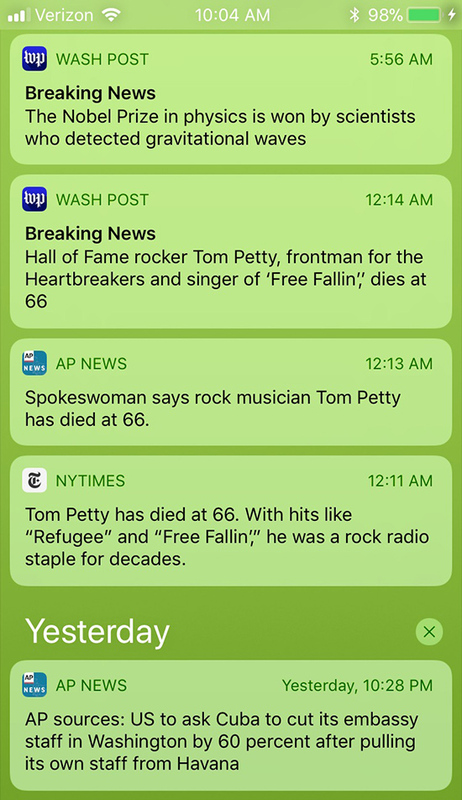 They might, as an example, write alerts for the same story but for publications as varied as The Wall Street Journal, BuzzFeed and Teen Vogue. Andy Bechtel, an associate professor at the University of North Carolina, incorporated a curation assignment into each of his editing classes. Many of Bechtel’s students told him they — like many people — are getting news and information from newsletters. The assignment requires students to work in teams to create newsletter prototypes and reinforces traditional skills. Students have to exercise news judgment by selecting material for their newsletters. They also write headlines, summaries and captions. They still edit for AP style, grammar, punctuation and usage, but they learn to curate and verify information, arranging it in logical order. Students also have to understand how to create effective links. Fred Vultee, an associate professor at Wayne State University in Detroit, uses a lesson on linking in his editing classes to build on traditional news judgment skills. In Vultee’s lesson, students add hyperlinks to stories to provide context. They learn the difference between providing an “incidental” link and an “integral” link: an incidental link might take the reader to a bio of a person involved in a story, but an integral link would provide deeper information, perhaps an analysis or a previous story with background information. “We want to reinforce skills and build on what they already know,” Vultee said. He considers the assignment a context-building exercise. Like Bechtel’s assignment, it requires selection and organization – traditional skills used by editors. Pam Luecke, a journalism professor at Washington and Lee University, said copy editing students work in labs on content produced by a reporting class, which is then published online. They also act as social media editors, promoting stories published on various social media channels. They write tweets and other posts promoting broadcast students’ work as well. In 2016, Luecke added basic analytics to the mix for the class. Editing students examine WordPress, Twitter and Facebook analytics for the content they’ve edited. A professor who specializes in social media does a mini-lecture for the editing students, explaining the kind of data they have access to. Students learn to look at what kinds of stories or headlines resonate with readers and begin to pay attention to the number of followers, looking for ways to increase engagement. “It’s a good way to make them mindful of the audience,” Luecke said. Students at the University of Kansas complete a similar assignment. In Gerri Berendzen’s class, students examine a week’s worth of analytics for the University Daily Kansan by looking at the Kansan’s Parse.ly and Google Analytics accounts. Students look at the top 10 posts of the day, the top post of the week and where the traffic to those posts is coming from. They also review how long people are staying on a post as well as the average amount of time spent on the site during a particular week, then produce a summary and interpretation of the data and present it to the class. All of these assignments expand traditional editing skills. Students still write display type; edit copy for clarity, accuracy and concision; and organize content. But these assignments help them recognize the importance of understanding audiences and multiple delivery platforms. And they start to learn skills that professionals say today’s editors need. Sue Burzynski Bullard has been teaching journalism at the University of Nebraska-Lincoln since 2008. She spent most of her career as a reporter and editor at newspapers in New York and Michigan, including a stint as managing editor of The Detroit News. She serves on the board of ACES: The Society for Editing. She is the author of an editing textbook, “Everybody’s an Editor: Navigating Journalism’s Changing Landscape.” In 2014, she was named the Society of Professional Journalists’ Educator of the Year. Lisa McLendon joined the University of Kansas journalism school as the coordinator of the Bremner Editing Center in August 2012, after spending 12 years as a newspaper copy editor. She launched her journalism career at the Denton (Texas) Record-Chronicle, and after earning a doctorate in Slavic linguistics from the University of Texas, she then went on to the Wichita Eagle. McLendon is the author of “The Perfect English Grammar Workbook,” which was published in 2017.